Now for the Frugal Round-up from last week....here are a few of my favorites.. 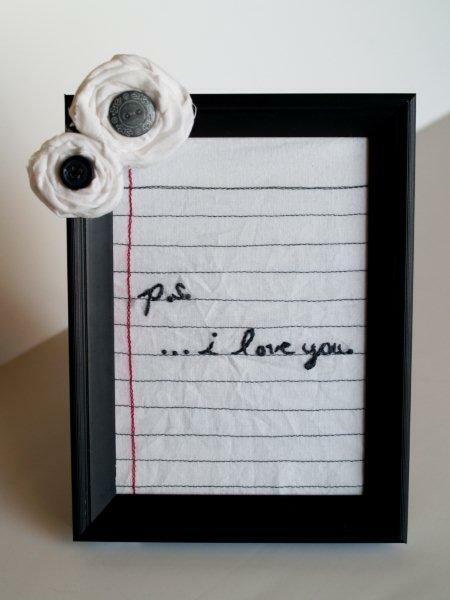 Since we're on the subject of love notes...check out this sweet tutorial from Flamingo Toes for a stitched love note...a great idea for Valentine's Day. Finding Home Online shared her quiet winter mantle. 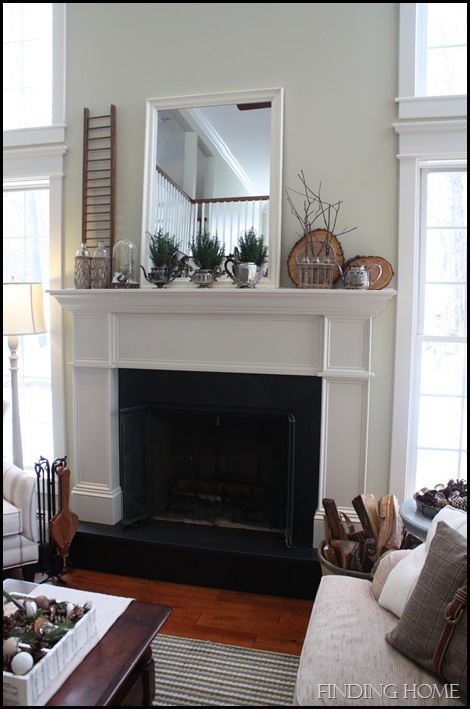 Post-Christmas winter decorating can be tricky, and she does it to perfection. 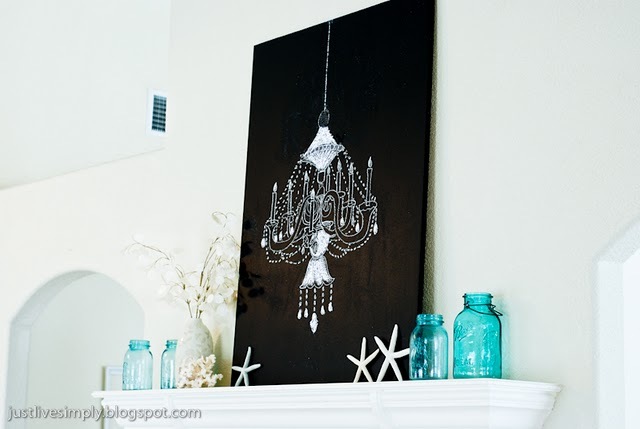 And check out this EXTREMELY CLEVER chalkboard chandelier from Just Live Simply. I. love. this. idea. That is all. Finally, McBride House shared her Pottery Barn-inspired mason jar chandelier. Darling! 3. Please leave comments for the authors of the posts your visit. Help our participants "feel the love!" I reserve the right to remove posts that are not in keeping with the spirit of Frugal Friday, including, but not limited to posts that link to your linky party, your business or that do not link back to The Shabby Nest. Can't wait to see what you all have in store this week! I love the love note -- too cool! Thanks for hosting!!! I love the stitched love note too. What a beautiful idea. Thanks for hosting again. Oh my goodness, your comment and feature are too kind. Thank you so very much, you made my day! Oh, and by the way, I also loved your love note to your hubby, what a great idea, so sweet and sentimental. Thanks for hosting this fun blog party! I love your quote below! Such a great one to think about...praying this year brings much promise and hope for you and that your husband will continue to heal. XOXO, Christie P.S. thanks for hosting! I snagged many great ideas from the submissions! Thanks for hosting this party! I love seeing everyone else's frugal ideas. Thanks so much for your link party! I just linked up 2 posts.. hope that is ok.
As always, I thank you for hosting this party. Today I'm linking a very frugal solution I found for decorating a problem spot in my living room. So it IS frugal. . . but does it work?? I've listed it as "Decorating Dilemma," and I'm hoping to get some honest opinions about it! Hope your weekend is as good as your week has been! Again, happy anniversary! Glad to be a part of this hoppin party! Thanks for hosting, Wendy. Happy to have something to link up this week!